Driving is a fast and convenient way to get around in London. And now finding a car loan for your vehicle is easy too — even if you have bad credit or no credit at all. Just fill out the car loan application form on our site, get approved within 48 hours or less, and go to the dealer to purchase your new set of wheels. That’s it. One dealer sees your info. That’s it. Qualify for an auto loan between $5,000 and $40,000. Access to London’s best auto loan rates. What info do you need to start my car loan application? Just the basics, like your name, age, and contact information. We also need a few details about where you live and where you work. We don’t ask for your social insurance number or require personal references. How do I qualify for a car loan in London? One of the most important qualifiers is employment: you need to be earning a minimum income of $1,500 per month. You also need to be a Canadian resident, have a driver's license, and be 18 or older. Can I use my car loan to buy a car from any London car dealership? No. You can only use your car loan to buy a vehicle from the dealership with whom we match you. Remember: the dealer will be the party actually offering you the loan. Our job is to match you with a great dealer. I’ve declared bankruptcy in the past — can I still get a car loan? Yes. Unlike the big banks, we have no problem working with borrowers who have less than perfect credit. In fact, one of the main purposes of our car loan service is to help Canadians with impaired or no credit. Which London dealers does LowestRates.ca work with? We work with an exclusive network of registered London dealers, and they all specialize in bad credit and no credit car loans. Bonus: we work with multiple dealers across the city, so finding a nearby dealership is easy. Can paying off my car loan help my credit? Yes. You’ll be able to boost your credit score if you make your car loan payments on time every month. How are my monthly car loan payments calculated? The dealer uses your loan amount, interest rate, and loan term (translation: the length of your car loan), to calculate your monthly payments. All three variables will affect your payment amount, but it’s the loan term that you need to be especially mindful of. With a longer car loan, your principal balance is divided into smaller payments, but you’ll also be charged more interest. Why? Because the more time it takes you to pay off your loan, the more interest your loan will accrue. Look at the graph below to see what we mean. If you add up all 72 payments for a 72-month loan, you’ll have paid $7,560 — that’s $1,000 more than you would have paid on a 24-month loan. And you can probably think of a dozen better uses for that money. Pick a 24 or 36-month loan. When you factor in the interest charges, shorter car loans are cheaper than longer ones, so our advice is to save money and take the shortest loan you can afford. Registered dealerships in London have to follow strict consumer protection guidelines, and they can also help you finance your new or used car. Private sellers just don’t offer the same benefits. Thanks to Ontario’s Motor Vehicle Dealers Act, you have the right to know the details of your car’s history, past use, and current condition before you buy it. Check the Ontario Motor Vehicle Industry Council (OMVIC) website to find out which mandatory disclosures London dealers have to make by law. Don’t forget to factor in a car’s maintenance costs, fuel economy, and insurance rates while you shop for your new ride. Remember: your auto loan will cover the purchase price of your vehicle, but it won’t cover any of the ongoing car ownership costs that come after. I can use my car loan to refinance my current car. False. Your car loan can only be used to purchase a vehicle from the dealership offering you financing. You won’t be able to put your loan towards your current car payments. But when you are ready to buy another car, we’ll be here. I shouldn’t get a bad credit car loan because my interest rate will be too high. False. 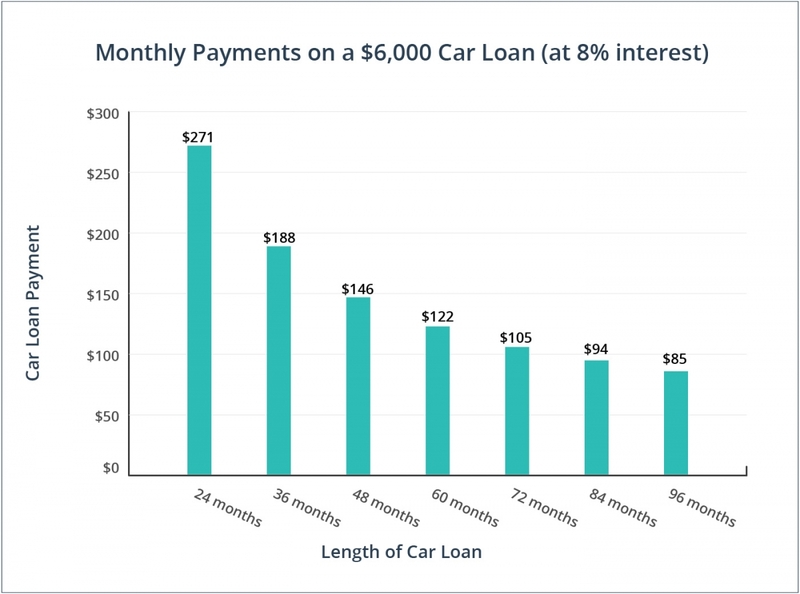 While bad credit car loans can have high interest rates, that’s definitely not always the case. Your interest rate will be based on your financial profile, and you can always negotiate the final rate with the dealer. I can choose my vehicle before I get a car loan. False. With our car loan service, you can’t choose your car until you apply for a car loan, get matched with a London dealer, and confirm the details of your financing. When you’ve finished those first few steps, you’re free to shop around on the dealer’s lot and find the right car. I can use my car loan to buy a new or used car from autoTRADER or Kijiji. False. There’s a lot of appeal to shopping for cars online, but one downside is that you won’t be able to use our car loan service. Our loans can’t be applied to private sales (online or otherwise). You also can’t use the car loan you’re approved for on our site at dealerships other than the one offering you financing. Used cars are always in demand. In Ontario, more than 1 million used vehicles change hands (i.e. ownership) every year. The Financial Consumer Agency of Canada’s 2016 report found that car prices are increasing 2x faster than monthly car loan payments. Falling interest rates are helping keep a lid on financing costs. The average car (and the average driver) will rack up 16,000 to 20,000 km each year. Does that math match up with the odometer reading on your used car? Trend alert for Canada’s 2016 auto industry: the Ford F-Series truck is selling like hotcakes. In the first half of the year, 72,233 were sold, making it the most popular light truck of 2016. Make way for the electric vehicles: almost 500 charging stations are being built in Ontario right now, and London’s getting at least three.